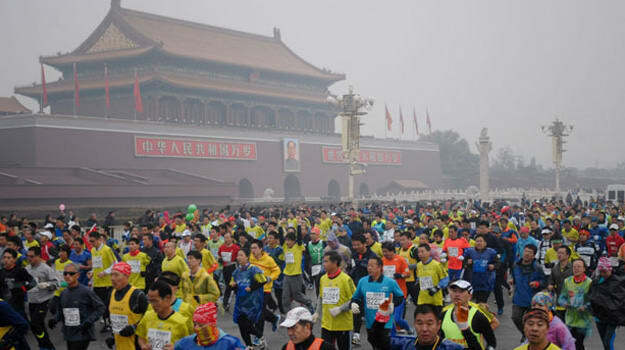 Today marked the 34th running of the annual Beijing International Marathon. 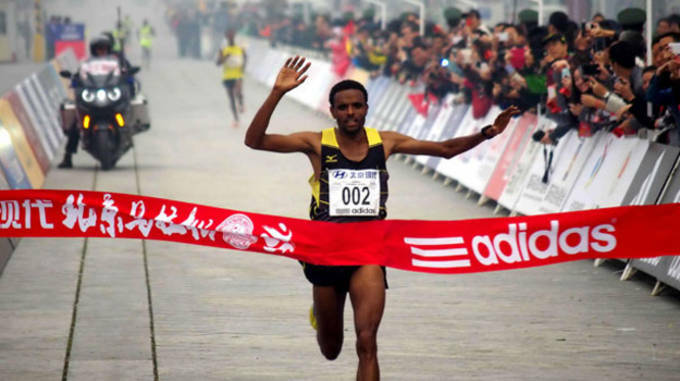 The race resulted in a Ethiopian sweep as Girmay Birhanu and Fatuma Sado won the men&apos;s and women&apos;s races, respectively. 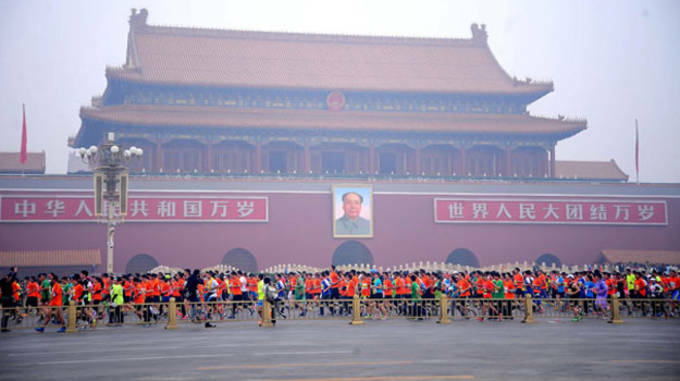 However, the real news was the blanket of smog that covered China&apos;s capital city during the race. 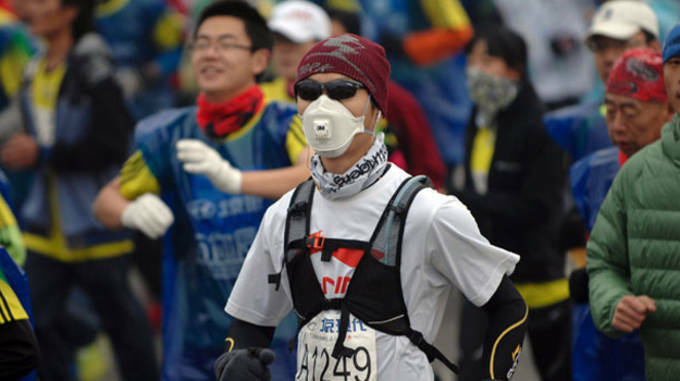 An estimated 30,000 runners braved the elements, many of whom wore face masks to combat the smog. The race&apos;s organizing committee made 140,000 sponges available at supply stations along the marathon route so that runners could clean their skin that was exposed to the polluted air. The sponges were the best that the committee could do, as rescheduling because of the harsh conditions was never really an option. Environmental conditions were so bad at one point that Beijing&apos;s environmental center actually had to issue a warning that the elderly and children stay indoors. Nevertheless, the race went on as planned, as Birhanu recorded a time of 2:10:42 to take the crown, while Sado recored a 2:30:03 as the fastest woman. 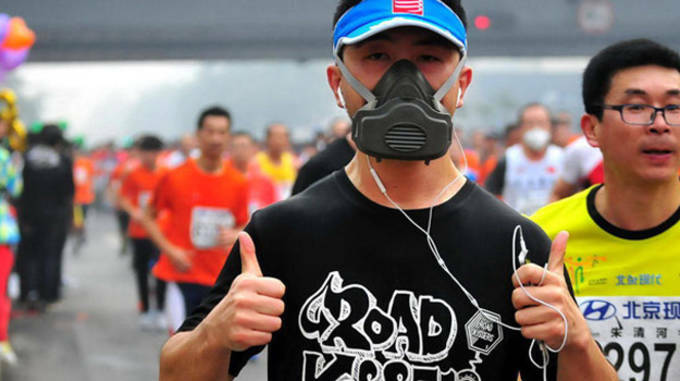 Check out some images from smog-covered Beijing International Marathon below and keep it with Sneaker Report as the fall marathon season unfolds.